I finally took the time today to work on our family tree. 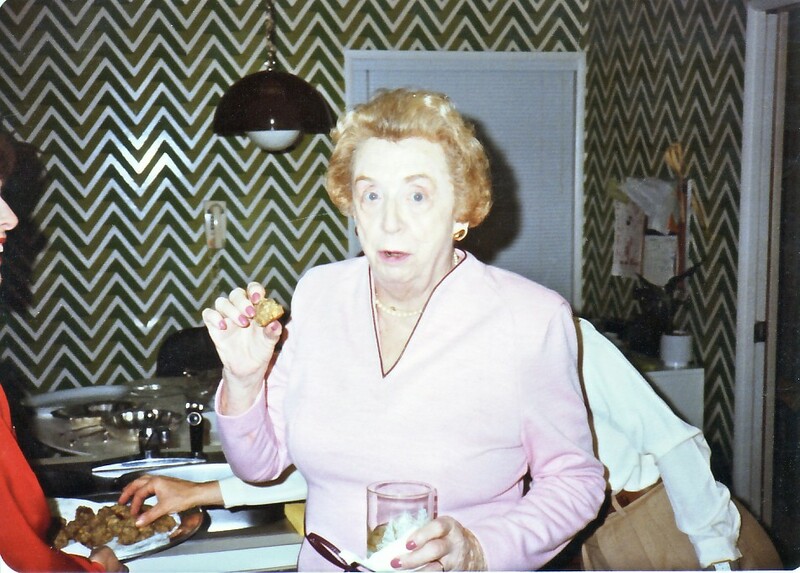 My great Aunt Muriel is the photo I picked since she was quite the Irish drinker and loved appetizers. The 70s wallpaper in our kitchen cracks me up too. My maiden heritage is pretty much all Irish – Murphy and Considine – that was what I focused on today. My paternal Murphy side has been in the Maryland area since the 1700s, I still have yet to identify when they crossed the Atlantic. My maternal Considine family left County Clare in the 1840s, most likely due to the potato famine. They settled first in Ellicottville, New York, then went up to Canada and eventually down to Illinois. Most of my Considine relatives have been in Fulton, Illinois since the late 1880s. Both of my boys have family names – my oldest is Murphy after my maiden name, and my youngest has Flanagan as his middle name in honor of Hannah Flanagan one of my Irish ancestors who came to New York around 1843. She was married at age 17 and had 11 children!!! I can’t even handle 2 – how did they survive with 11 children???!!! My grandfather – Robert Patrick Considine – was quite the inventor. He and his brother-in-law Archie Cowan developed a glider airplane shortly after the Wright Brothers sometime between 1910-1915. I found this so ironic because my grandfather never flew on an airplane, or so I was told as a child. He was born in 1897 and passed away in 1985. I am determined to find the passenger records of the ships they came over on. I keep getting close, but can’t quite nail it down. It’s hard when we have family history that has guessed at which year they came over, and then you see quite a lot of Flanagans and Considines. Strangely enough a whole crew of Considines came to Nashville but I have yet to tie them back to my family in Illinois. Many share names with my family tree. I’m sure there’s a connection I just need to find it!